The Catskills have attracted artists and creatives for centuries. The Catskills have attracted artists and creatives for centuries thanks to its many scenic hikes. The beauty of the Catskills region in upstate New York, on the west bank of the Hudson River, is apparent year-round, but the autumn is especially photogenic. The diverse area of the Catskills also affords a variety of great spots for experienced and amateur photographers alike—you’ll never be shy of inspiration here. 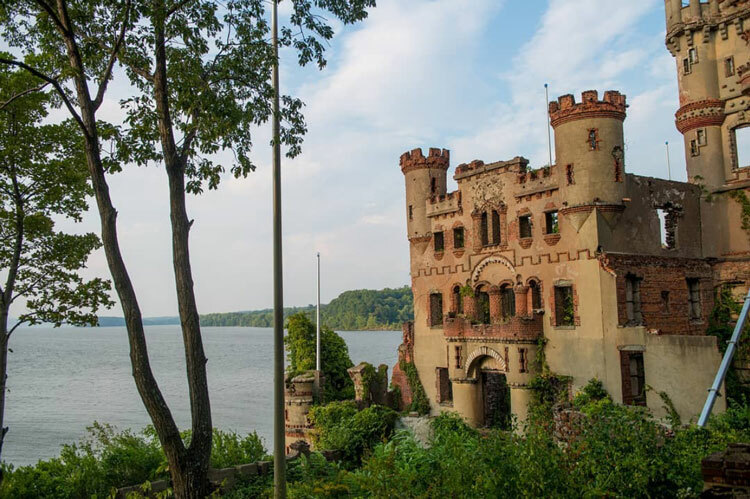 Staying in the Catskills area is a great way to escape the city life, but if you’re looking for a taste of home, check out the hidden gems in the Hudson Valley where you’ll find plenty of gay bars and gay-friendly establishments. One of the region’s most beautiful hotels and resorts, the gay-friendly Scribner’s Lodge recently reopened with an extensive renovation that accentuates its place on the top of a hill in the Catskills. Each room is designed differently and features fireplaces and many feature beautiful views out over the surrounding hills and mountains. A Victorian castle resort nearly 150 years old, the Mohonk Mountain House is surrounded by 40,000 acres of forest. Even if you don’t take advantage of the award-winning spa, it’s possible to visit for the day to enjoy the nearby hikes and trails. Visit in the autumn to really take in the misty mornings and colorful autumnal leaves. On the well-traveled Route 28, the Phoenicia Diner serves classic American diner dishes but with a contemporary twist. Popular with hipsters, the roadside diner even has an airstream trailer used for serving food in the warmer months. Expect instagrammable food dishes and cool events (regular live music shows! )—the perfect place for a stopover during a visit through the Catskills. While the beauty of visiting the Catskills are for those #fallhike moments, don’t skip out on the charming towns and villages throughout the region. Woodstock is most famous as being the namesake for the iconic 1960s music festival, but the town has always had a bohemian and artistic vibe. It’s a great stopover on your way to Overlook Mountain—another top Instagrammable spot. One of the quirkiest things to see in the Catskills is the Kaatskill Kaleidoscope (keeping its original Dutch spelling from the region’s earlier settlers). Designed by a 1960s psychedelic artist and in a converted grain silo attached to the Emerson Resort, the attraction is fun for people of all ages. Tickets are $5 per person (children 11 and under are free).